Louise Hagaman, 85, of Victoria, VA went to be with the Lord on November 3, 2018. She was the daughter of the late Robert Hugh Hagaman, Sr., and Ruby Lee Mylum Hagaman; mother of the late Mary Frances Perkins and Elwood C. Cox Jr.; and sister of the late Robert Hugh Hagaman, Jr. She is survived by her husband of 43 years, Elwood C. “Shorty” Cox, Sr.; her daughters Kathy Perkins Distler and Theresa C. Ryder (Oscar); one son, James L. Cox; 6 grandchildren and 12 great-grandchildren; her brothers Edward Hagaman (Carol), Irvin Hagaman (Brenda), Jimmy Hagaman (Nancy). She was a lifetime member of VFW Auxiliary Post 9954 and a past VFW Auxiliary district president. She marched in the VFW color guard in Las Vegas, Chicago, and Mardi Gras. She loved dancing, coloring, puzzles, cooking, her church, and reading the Bible. 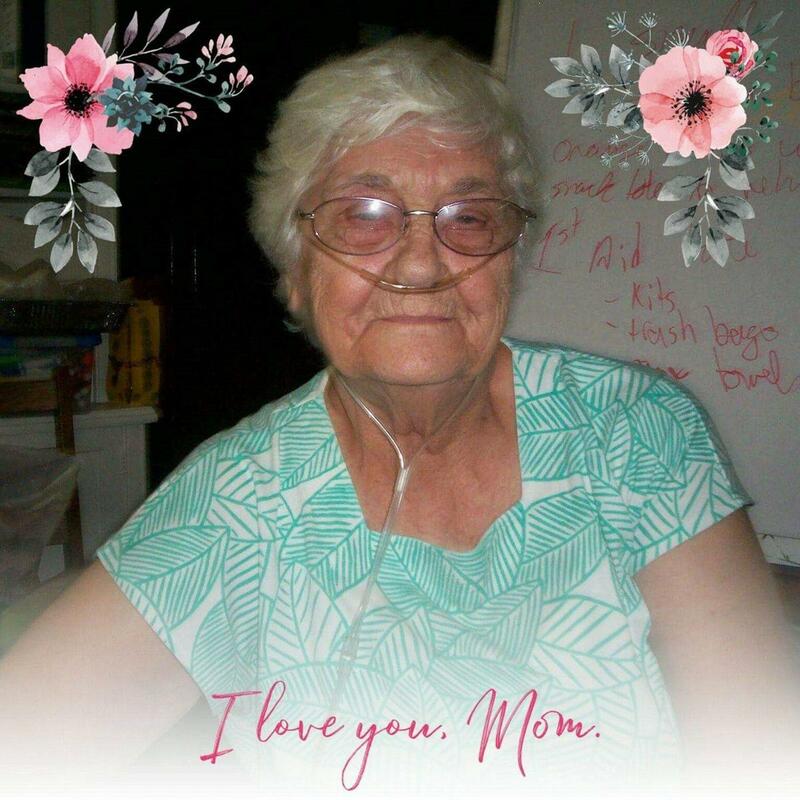 She was a member of Central Baptist Church where funeral services will be held on Wednesday, November 7, at 2:00 p.m. with interment in Lakeview Cemetery, Victoria. The family will receive friends Tuesday, November 6, from 6:30 p.m. to 8:00 p.m. in the Staples Funeral Home, Victoria. Flowers are welcome or please consider donations to the Victoria Fire and Rescue. On-line condolences may be sent at www.staplesfh.com.